David Geary found that preschoolers who better process words associated with numbersand understand the quantities associated with these words are more likely to have success with math when they enter kindergarten. COLUMBIA, Mo. – While many studies have been conducted on infants’ and preschoolers’ math competencies, few have evaluated how toddlers’ basic mathematics knowledge relates to early elementary school success. Now, in a study funded by the National Science Foundation (NSF), researchers at the University of Missouri discovered that preschoolers who better process words associated with numbers, such as “three” or “four,” and understand the quantities associated with these words are more likely to have success with math when they enter kindergarten. Findings also reveal that children who have a basic understanding that addition increases quantity and subtraction decreases it are much better prepared for math in school. Scientists contend that emphasis on these two skillsets could lead to greater success in school. The study, “Kindergarteners’ fluent processing of symbolic numerical magnitude is predicted by their cardinal knowledge and implicit understanding of arithmetic 2 years earlier,” recently was published in the Journal of Experimental Child Psychology. 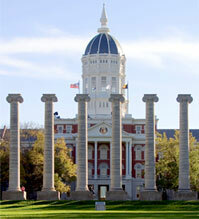 The NSF (Grant 1250359) and the University of Missouri Research Board provided funding for the project. The content is solely the responsibility of the authors and does not necessarily represent the official views of the funding agencies.